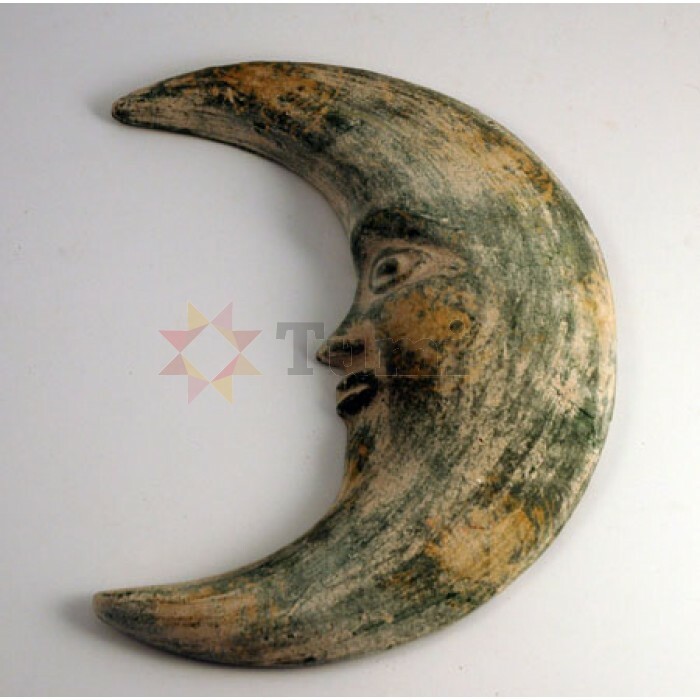 Earthenware moon Plaque. Can be put outside as frost proof[comma] although the colour may run. Hand made in workshops in Mexico.